Stunning, light, one double bedroom apartment with balcony situated in Brentford conveniently placed above a well stocked Sainsbury s Local Supermarket. The property is well presented and modern with an open plan style in a clean, secure and contemporary block. There is secure underground parking and is close to local amenities with excellent transport links. The living space is light and airy with ample storage. You have the whole apartment to yourself to enjoy. Fitted with Hyperopic ire Optic Broadband. Access granted to all areas of the flat bar the top shelf in the main, fitted wardrobe (there are two wardrobes in the bedroom so lots of space!) where I keep some personal items. The Local Area: The apartment is very conveniently located next to the A4 and M4. It is in close proximity to the Royal Botanical Gardens, Kew, Richmond, Chiswick, Syon Park, Gunnersbury Park, Twickenham Stadium, Westfield Shopping Centre and Heathrow Airport. Brentford Football Club is a short walk away. There is a well stocked supermarket downstairs, a dry cleaner, nursery and independent cafe within the private complex. 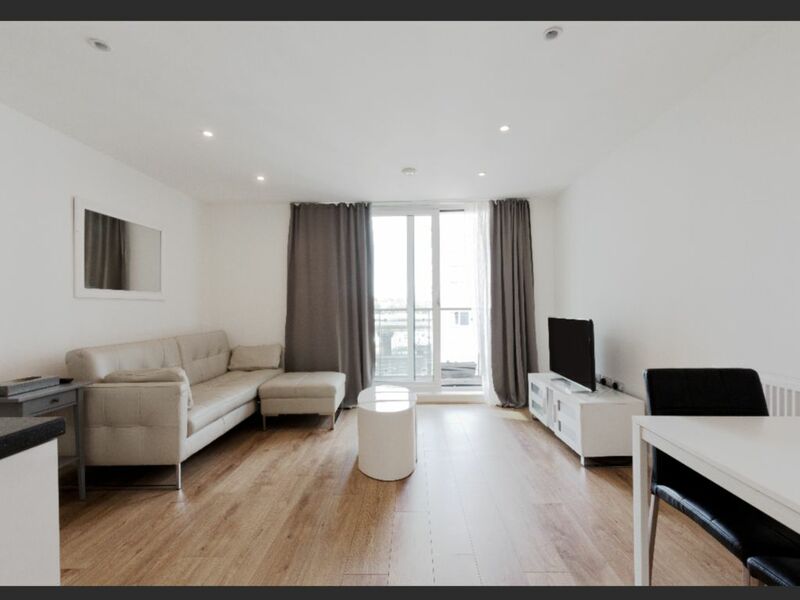 Burgoyne House is within easy reach of the M4/A4 as well as South Ealing underground (Picadilly Line) and Kew Bridge / Brentford mainline stations which take you to Clapham Junction, Vauxhall station and London Waterloo. There is also a local bus to Ealing Broadway station where you can catch a train that will take you to Paddington station in approximately 12 minutes. The Central and Distict lines also operate from this station. If you take a short walk to the bus stop by The Watermans Centre there are buses that take you to Westfield Shopping Centre. The H91 bus fro the A4 will take you to Hammersmith via Gunnersbury station (London Overground and District line). An Uber taxi can take you into central London for approximately £15 - £20 depending upon surges. Mobike, the deckles cycle hire scheme, are usually in and around the immediate vicinity. Bicester Village (outlet shopping centre) is about an hour drive away.